The Chinese OEM Umi has been teasing the arrival of their new device; Umi eMax Mini, it is the small sized successor of the previously launched and much praised 5.5 inch Umi eMax. The company has somehow managed to grab many eyeballs among the numerous Chinese smartphone manufacturers. Like most of the Chinese OEMs Umi has been focusing to offer extensive power to users at rock-bottom cost. Unlike the previous Umi models, the Umi eMax Mini is expected to come up with a whole lot of new offerings for the users. This time things are going to be a little different from usual as the new Umi eMax Mini will be powered by the leading processor makers Snapdragon. Interestingly, this time Umi is backed by the Qualcomm‘s fast and efficient processor and chipset for the first time. This is not all, Umi has pulled the socks up and has joined hands with the leading custom ROM makers Cyanogen, this move will give a new look and feel to the UI found earlier in Umi phones. This smartphone is definitely going to create a buzz amongst the competitors as Umi surely have big plans for the future. 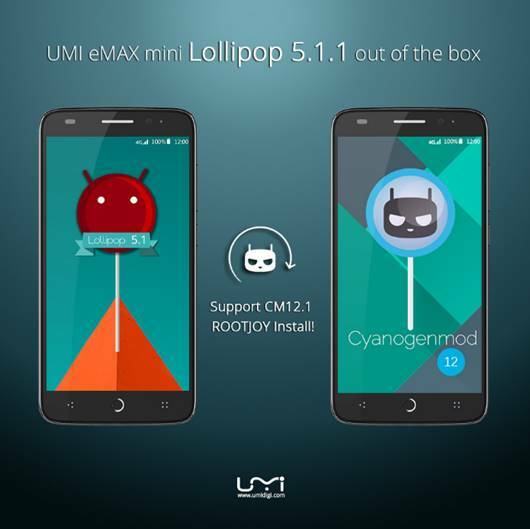 Earlier Umi models used stock Android 5.1.1 with a minute tint of Umi UI, but this handset will run on Android 5.1.1 and supports CyanogenMod 12.1 via ROOTJOY install. This was a much required change in the Umi platform, most of us were not impressed with the UI in the previous releases. Umi eMax Mini will arrive with a 5-inch 1080p (1920 x 1080) IPS-NEO display. The handset will also ship with a 13 MP rear-facing camera expected to have Sony IMX sensor for better image processing, and an 8-megapixel front-facing shooter. The phone is expected to be powered by Qualcomm’s Snapdragon 615 64-bit octa-core system on chip, which makes it more obvious that it will join the mid-range smartphones. Another highlight of this device is the hefty 3050 mAh battery which will help Umi take a lead in the competition. 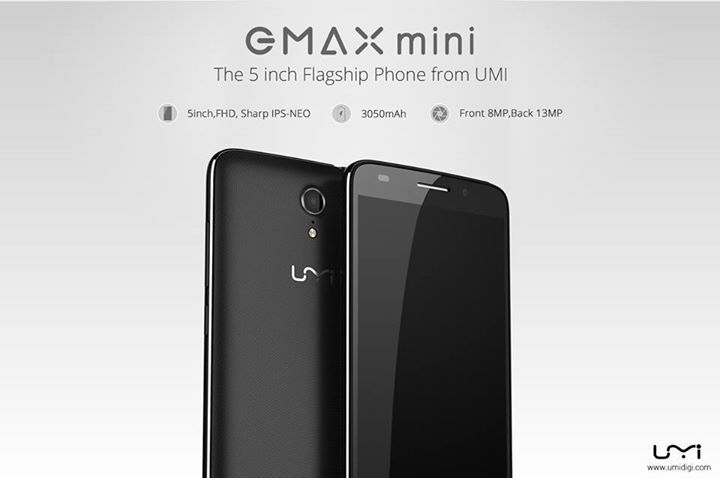 Unfortunately, there are very limited details about the UMI eMax Mini. We expect the further details to be announced soon as stated by the Chinese manufacturer.